OMAHA, Neb. 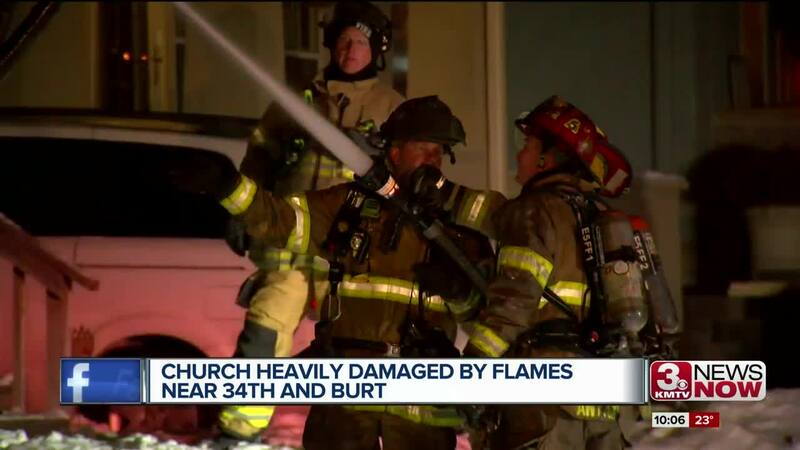 (KMTV) — An Omaha church was on fire for more than an hour Monday night as firefighters worked in freezing temperatures to knock down the flames. The call for the fire at the Hope of Glory church near 34th and Burt came in around 6 p.m. and caused $125,000 worth of structure damage. The blaze began on the second floor and crept into the attic.